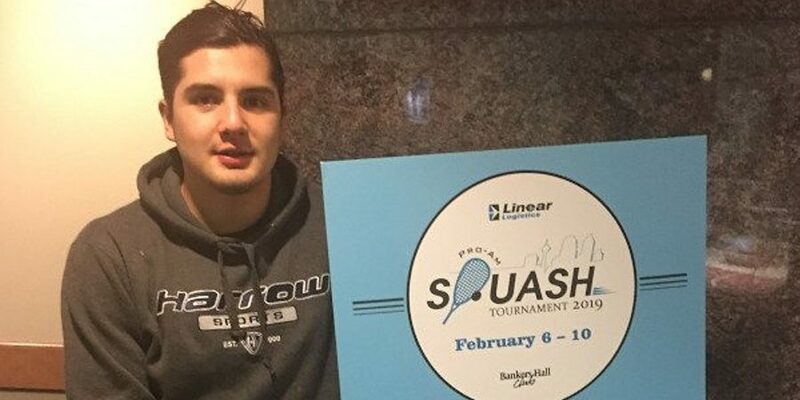 Leonal Cardenas claims his fourth and biggest PSA title in Calgary. 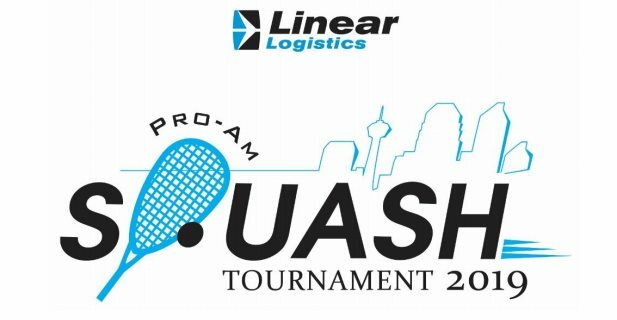 It was finals day at the 2019 Linear Logistics Bankers Hall Club Pro-Am in not only the featured PSA event but also in all of the various levels of play in the regular part of the tournament. In the PSA finals it was the first ever meeting between #4 seed Leonel Cardenas of Mexico and Hong Kong’s Tsz Kwan Lau who was seeded #8. A much anticipated final mainly due to the contrast in styles these two young players compete at. The first game had the just turned 19 yr old Mexican roll out to an easy 7-2 lead only to see Lau try to bring it back to even but the lead was too much and Cardenas took it 11-4. Second game was a tight close start but somehow Lau was able to go on a run from 2-3 to 9-4 before closing it out 11-4. The third and fourth games had Lau always a few points down and he could not close the gap despite some valiant efforts. It was a four game victory for Cardenas as he joins country mate Arturo Salazar as the only other Mexican champion here. In front of a very appreciative crowd Cardenas thanked his opponent for a well played and the sponsors … as well as the crowds for all the matches plus his billets. 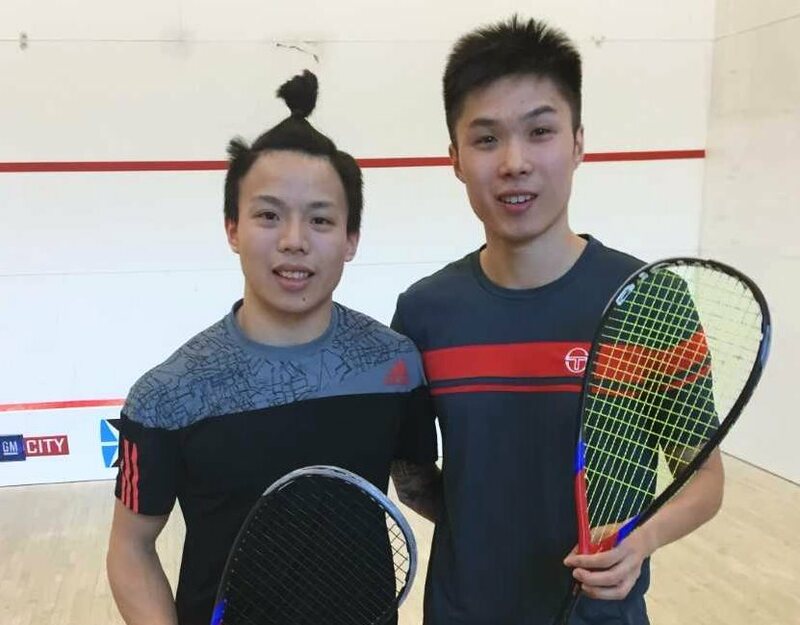 Two very classy players in the final and this tournament was fortunate to have them plus as well as all the other PSA players who were very impressive here on all levels. The great thing about sports, Cardenas was within minutes of losing in straight games in the first round and then held off match point in the fifth game of that first round and four days later he’s the champion here! 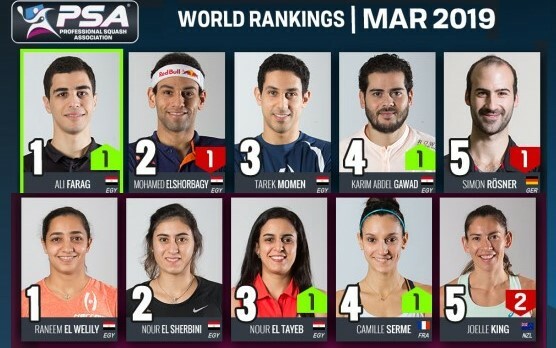 I have a feeling we will see both these players move into the upper tiers of the world squash scene over the next few years! The two semi finals of the 2019 Linear Logistics Bankers Hall Club Pro-Am did not disappoint as both matches were five game thrillers! The first match saw Tsz Kwan Lau of Hong Kong go up against his higher ranked country mate Henry Leung and it was looking like smooth sailing for Lau as he took the first two games and was 6-0 in the third game. In a shocking turnaround not only did Leung with the third game he did so by winning eleven straight points to win that game 11-6…..unbelievable! He then dug in to win the fourth 11-9 setting the stage for yet another fifth game here. Lau was able to pull out the entertaining five game match 11-7 in the fifth to head into Sunday’s final. 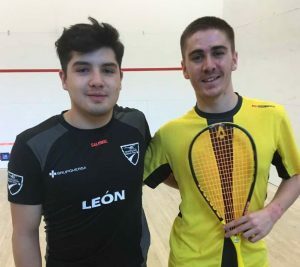 The second semi was something else as both players were able to fire up the big crowd and the result was an electric atmosphere with some passionate squash displayed by the young fourth seeded Leonel Cardenas and the unseeded Emyr Evans. Cardenas looked secure to win this match going up two games to win and then yet another hard to fathom game as Evans dominated the fourth game 11-1! The fifth was tight all the way before Cardenas took the last two rallies from 9-8 to win it in just under an hour! 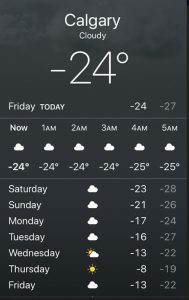 It should be a great final here in the frigid Stampede city…..the cold temperatures do not seem to be holding back the crowds nor the skill of the players! It was another packed house here for the evening session of the 2019 Linear Logistics Bankers Hall Club Pro-Am in downtown Calgary. Hong Kong is assured of a finalist here in the 2019 Linear Logistics Bankers Hall Club Pro-Am in frigid downtown Calgary. Number eight seed Tsz Kwan Lau was the first to book his spot into the semi finals as he upset top seed Chris Gordon in five games covering 52 minutes. His semi final opponent will be the third seeded Henry Leung who took out his country mate Chi Him Wong in four games. Not since the days of Leo Au have we had a player from Hong Kong in the finals…..we have one guaranteed this year! Mexico who turned 19 years old today. The first two games were very routine for the youngster Cardenas as he took them in fairly quick fashion. But Tuomi steadied himself in the third game and was shot for shot and point for point with the number four seed before finally falling in a tight exciting third game 13-11. The last match saw the last Canadian player remaining in the tournament as number seven seed David Baillargeon went up against unseeded Emyr Evans of Wales. After splitting the first two games by fairly similar scores, a very close third game that could have gone either was scraped out by Evans 12-10. That might have been the turning point as Evans was able to secure his semi final spot with a fourth game 11-7 score. So the semis have a lot of excitement built into them and it should be another great set of matches here on Saturday afternoon! All the seeded players survived the lunch time session here at the Linear Logistics Bankers Hall Club Pro-Am with the trio of Hong Kong players a big part of that group. Top seed Chris Gordon, third seed Henry Leung, fifth seed Chi Him Wong, and number eight seed Tsz Kwan Lau all went through relatively easily although Leung did drop the first game to Canadian Thomas King. The evening session produced a trio of epic matches here tonight. Two of the seeded players managed to get through to the quarter finals albeit oh so barely while the other two seeded players were not so fortunate. Finland’s unseeded Matias Tuomi got things rolling with a straight game upset win over an off form Martin Svec of Czech Republic beating the number six seed in just 31 minutes. Next up was the second seeded French player Sebastian Bonmalais going down to Emyr Evans in an exciting fast paced match 11-9 in the fifth game. This match was all fast paced step on the gas squash for 72 minutes in front of the packed Bankers Hall Club crowd. 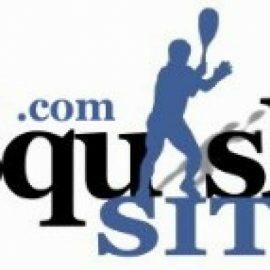 The action kept going after that as unseeded and 2017 champion Andrew Schnell of Calgary/Canada played near flawless squash for two and a half games. He won the first two and was perhaps a few minutes from a straight game win over number four seed Leonel Cardenas of Mexico. Some untimely errors from Schnell gave the third game to Cardenas and credit to the young Mexican he seemingly changed tactics to bring that game as the fourth game swinging in his favor. A back and forth fifth game saw Schnell have a match ball at 10-9 only to see his dropshot clip the very top and from there the exciting and gutsy Mexican rolled off the next three rallies to win it. An early birthday present for Cardenas as he won the match in 79 minutes. Last up was the last Canadian hope here as number seven seed David Baillargeon took on Joeri Hapers of Belgium. This see saw match saw each of them have control from one game to the next game. The young up and coming Canadian managed to pull things out after being down two games to one winning the last two games both 11-7 to secure his spot in the quarter finals. 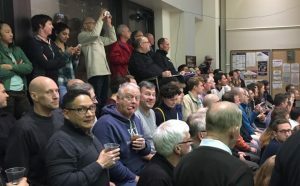 The 18th version of the Bankers Hall Club Pro Am is set to begin here in downtown Calgary, Alberta with amateur play beginning February 6th and the always highly anticipated PSA event starting up the next day. Top seed this year is Chris Gordon from the United States. This will be his second appearance here at this tournament and it’s a long overdue return as Chris last played the Pro Am in 2008! Gordon is currently at #78 in the world rankings and has been as high as #44 back in 2013. He will no doubt be keen to improve on his most recent result of a first round loss at the Seattle Open and will open the tournament against Alberta’s own Brock Janzer who was given the wild card spot in this years tournament. Second seed is Sebastien Bonmalais from France who is now starting his fourth year on tour. In that time he has made steady progress up the world ranks and currently sits at a career high of #85. His tournament will begin with a match against Welsh player Emyr Evans. Henry Leung sits at the number three seed position and leads a group of three players travelling here from Hong Kong. And at number four seed is the young 18 year old Mexican Leonel Cardenas. Canadian is interest in the tournament is led by 2017 champion and current two time Canadian champion Andrew Schnell of Calgary. 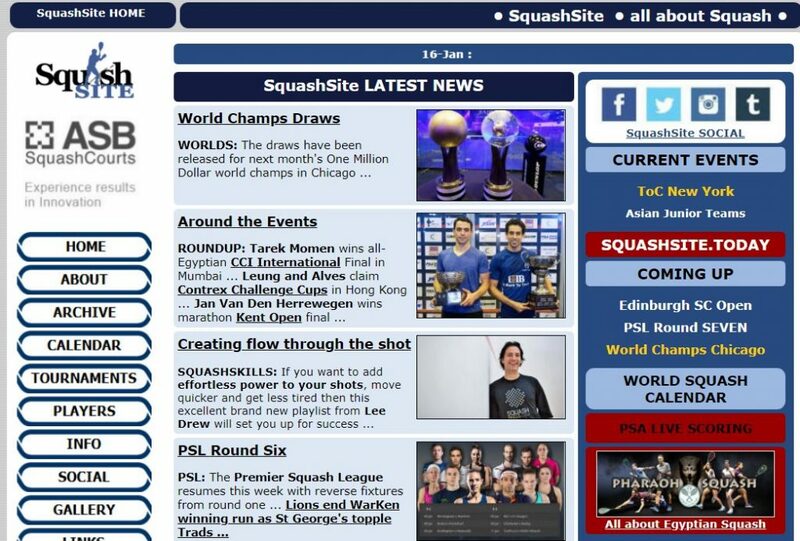 Andrew has been playing some of his best squash recently despite what his current world ranking is showing. He is coming off a finalist result two weeks ago at the Bourbon Trail #2 event in Chattanooga and a semi final result at this week’s Seattle Open. Other Canadians in the field besides Schnell and Janzer are David Baillargeon who is seeded #7 and Thomas King. Once again the tournament is a full sell out with a full compliment of amateur divisions as well as a provincial pro event making it again the biggest event in Alberta. Should be a great week of squash!